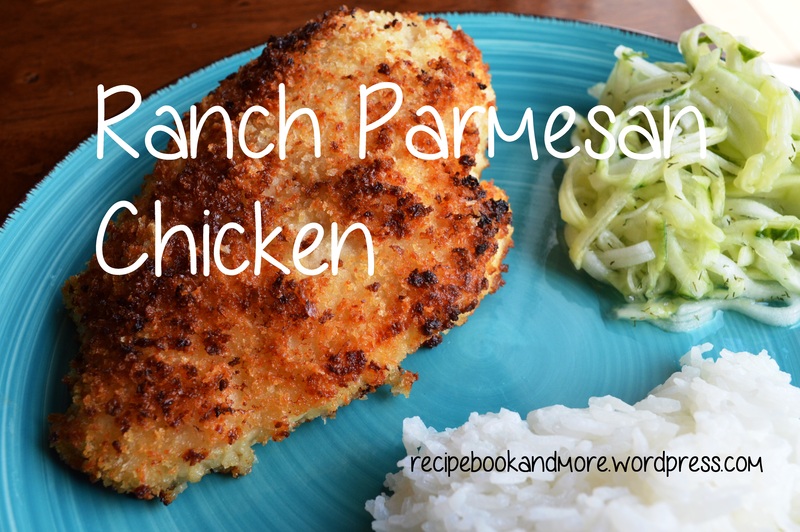 I was on a mission to stock our freezer with some chicken meals, and started with a Ranch Parmesan Chicken recipe from plainchicken.com. If preparing right away, preheat oven to 400F. Combine bread crumbs, Parmesan, garlic powder, salt, and pepper on a plate. Dip chicken in Ranch to coat both sides, then roll in bread crumbs. Place in baking dish sprayed with non-stick cooking spray. (To add a little crispiness back I sprinkled on a tiny amount of breadcrumbs on top). Drizzle with melted butter. Bake for 30-35 mins or until chicken is thoroughly cooked. Approximately 5 mins before removing from oven, turn up to “broil,” which will crisp up & brown the breading. If freezing, combine bread crumbs, Parmesan, garlic powder, salt, and pepper on a plate. Dip uncooked chicken in Ranch to coat both sides, then roll in bread crumbs. 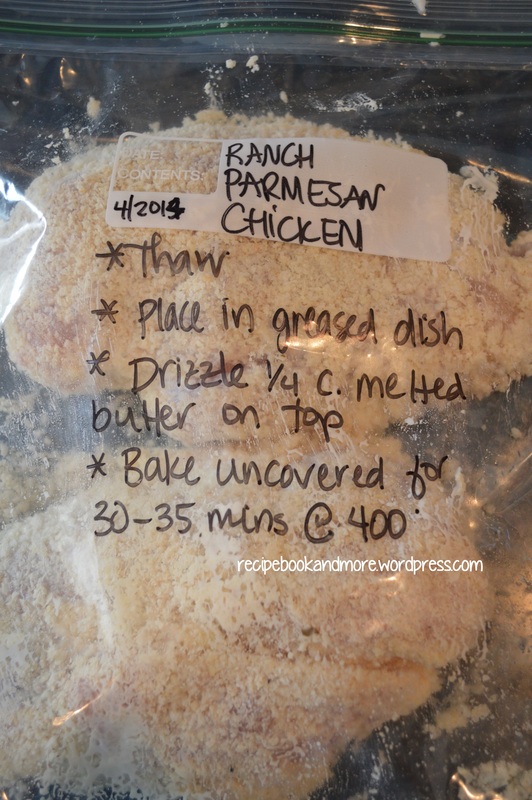 Put breaded chicken in a gallon ziplock bag, and label with a marker, then freeze. To prepare, thaw, then place chicken in baking dish sprayed with non-stick cooking spray. Drizzle with melted butter. Bake in preheated 400F oven for 30-35 mins or until chicken is thoroughly cooked. Approximately 5 mins before removing from oven, increase temp to “broil” to crisp up the breading. and a cold salad of salt & vinegar cucumbers with dill (instead of slicing the cucumbers into slices I used a spiral cutter for the cucumbers). for freezing this meal do you still cook the chicken before?